Official Umbro NY Cosmos Soccer Jersey! 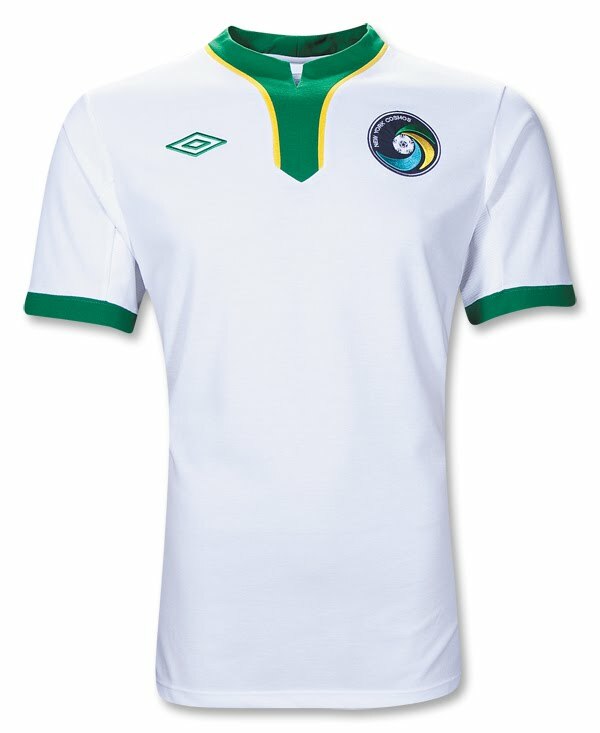 As part of the club’s rebirth, Umbro has applied its celebrated football-tailoring ethos to a new on-field performance and off-field lifestyle line for The New York Cosmos club. The white home shirt, with the unique green and yellow collar, is inspired by the one worn by its star players in 1977, but with the performance benefits of a modern football shirt. respectively. Both academies participate in the U.S. Soccer Development Academy. running it every year in New York, they will be looking to expand it both domestically and internationally in order to engage more local communities to participate in the ‘global game’ at a grassroots level.